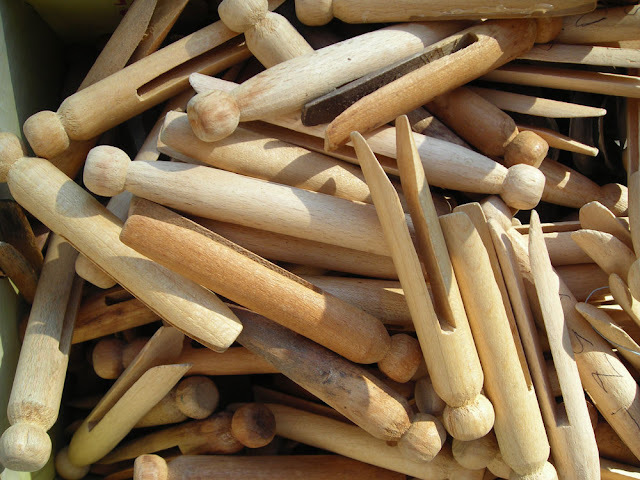 I love vintage clothespins. This kind isn't the most functional, but they are so appealing; made when cutting down trees to carve into clothespins was no big deal. They have a great weight to them. Finding a peck basket for 25 cents at a garage sale just makes my day.